Choosing the right Bali wedding photographer can be a daunting task because there are too many options for you to choose from. The vast majority of Bali Wedding Photographers are of rather questionable standards. It can be a bit difficult to make an informed decision from a few photos you see on a website. Hiring a Bali wedding photographer who is member of THE SOCIETY OF BALI WEDDING PROFESSIONALS will assure you of quality and professionalism. Help me find the right PhotographerAvoid disappointments and regrets ! ! We have over the years worked with countless Bali wedding photographers and have had some amazing encounters. Amazing in a positive as well as in a negative sense. If on the other hand, you want a Bali wedding photographer who can provide you with a good documentation of your Bali wedding then you may want to consider a Bali wedding photographer with a proven track record. The following Bali wedding photographers are part of the SOCIETY OF BALI WEDDING PROFESSIONALS. Their services and level of artistry and technical expertise have been thoroughly scrutinized. We can guarantee you that you will have a pleasant experience with them. 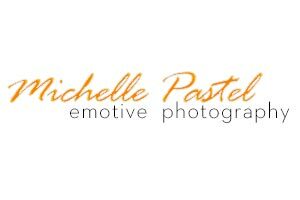 Michelle Pastel is Bali's newest superstar wedding Photographer. His style and skills are unmatched in Bali. He calls his style emotive photography. Which means he emphasizes on capturing the human emotions. And as you can see from his fantastic portfolio that this is not just empty talk. His ability to always press the shutter at the right moment is nothing short of amazing. Michelle Pastel says he does not photograph a wedding the way it looks like, but the way it feels like. And indeed his photographs have the ability to evoke strong feelings. Just the way as you felt them on your big day in Bali. Unlike many other Bali wedding photographers, Michelle goes through great length to edit your wedding photographs to perfection. And he does so by hand for each photograph he delivers to you. Rather than me describing Michelle's fantastic work, I encourage you to head over to his website and check out his fantastic work. If only the best will do we highly recommend the services of multiple award winning, international photographer DOMINIK. He is the highest ranking wedding photographer in Bali. And he is a member of the most prestigious international wedding photographer associations. His work requires no further introduction. 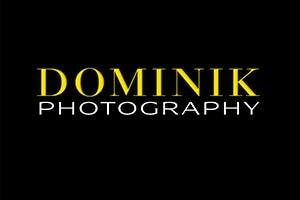 Just head over to his websites and be amazed: DOMINIK PHOTOGRAPHY BLOG and his website. In the mid-price segment, you can’t go wrong with the works of VALENTINO RUYA. Valentino ranks among the best local wedding photo journalists. He is very passionate about his work and has been creating outstanding documentations for couples from around the world. Whether you have a chapel wedding, a villa wedding or any other wedding in Bali Valentino’s work is guaranteed to amaze you. His style can be described as wedding journalism with an artistic touch. 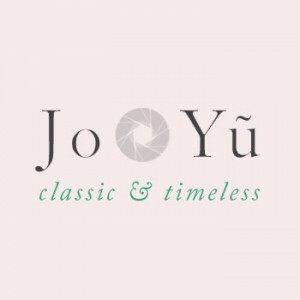 Make sure to check out his wedding photography & pre-wedding photography. And indeed, his photography is as much about emotion as it is about those details that only a keen observer can get. If you like all things vintage and you don't like the digital look then Jo is an ideal choice for you. And Jo's work is quite inexpensive when compared to other photographers of similar style and artistry. Martin Dewata is a passionate local Bali Wedding photographer. He used to work for several Bali wedding photo agencies before setting up his own studio. And since he is relatively new in the scene he is offering his services still at a very competitive price. 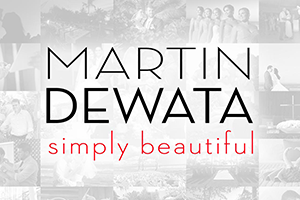 You can learn more about him here: MARTIN DEWATA - affordable local Bali wedding photographer. On the budget level we recommend the services of WEDDING PHOTOGRAPHY BALI There a team of seasoned local Bali photographers have been photographing destination weddings in Bali for over 7 years. Their services are highly affordable, yet of excellent standards. They offer both hourly photography rates with all photographs on disc or all-inclusive packages with an album. Please check out their website. 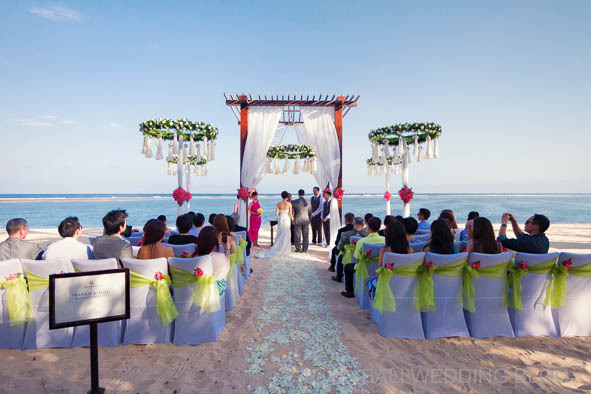 You may also want to read the following article: Cost of a wedding in Bali – Photographer which will give you a good idea about the cost involved with hiring a Bali wedding photographer. We want to use one day to take pre wedding photo. May I know is there any photographer available? Please kindly send us the quotation. We had Dominik as our wedding photographer and we could not have been happier. Our wedding photos are beyond stunning and it was so smooth and easy to work with Dominik. I can’t recommend him and his team enough to anyone who wants a perfect wedding documentation. Thank you so much for sharing your experience with DOMINIK as your photographer. I am very happy to hear that you received a great set of photographs from DOMINIK. I have seen your photographs and indeed they are stunning. Thank you so much for hosting your wedding in Bali. We hope we can welcome you in Bali again soon. Brilliant Jef & Juliana. Thank yo so much for sharing your wonderful experience with Dominik as your photographer with us. wonderful 2016 and an even better 2017. Please stay in touch! Thank you very much for visiting our beautiful Bali for your pre-wedding photos. I am very happy to hear that you got great photos from Martin.